Today’s Doodle started with an idea from its subject, Fred Rogers: Each of us has it within ourselves to do or make something special. Centered on that premise, Mister Rogers’ Neighborhood made a lasting impact on generations of young people. Like many of the Doodlers on our team, I grew up watching the show, and seeing Mister Rogers speaking to children about things like their unique potential is an experience we’ve carried throughout our careers. When production first began on on Mister Rogers’ Neighborhood 51 years ago today, children’s television aired “a lot of nonsense and pies in faces,” according to Mister Rogers. This meant Mister Rogers’ Neighborhood was a radical change from how children were used to interacting with TV. Rogers’ life mission was to “understand the inner needs of children,” and indeed he succeeded. 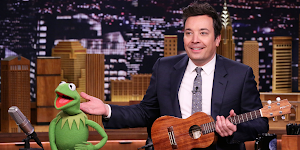 His show helped create a legacy of understanding, caring and respect for children. When it came time to make the Doodle, we wanted to come up with a unique concept that did justice to the show's message that everyone matters. Our idea was to recreate the show’s intro in a way that combined “the innovation of technology with the magic of the homemade,” as Melissa Crowton, my fellow Doodler and co-director on the project, put it. In addition to creating, producing and hosting the show, Rogers was script writer, composer, lyricist, and main puppeteer. We drew inspiration from his DIY approach in crafting the story and design of the Doodle, incorporating everyday objects like popsicle sticks, yarn and crayon. All of our effort was focused on making this celebration as representative of Rogers’ work as possible. Partnering with with Fred Rogers Productions, The Fred Rogers Center, and BixPix Entertainment, the Doodle project team visited Pittsburgh and Rogers’ hometown Latrobe, PA, to see the original set and memorabilia from the show. We rewatched numerous episodes and read interviews to understand how groundbreaking the show was at the time, and to capture its spirit to the best of our abilities. We created a storyboard that follows Mister Rogers as he visits familiar landmarks and make-believe friends, caring for those that he meets along the way. We put together designs for the many familiar faces, and handed them off to our collaborators at Bix Pix to craft the puppets, sets, and finally animate. 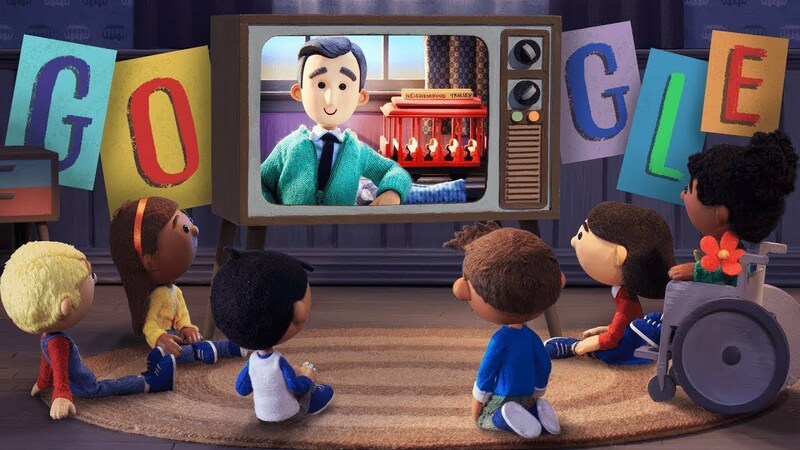 The result, set to the iconic opening song of Mister Rogers’ Neighborhood (“Won’t You Be My Neighbor"), can be seen on the Google homepage today. Mister Rogers was many things—a creator, a musician, a philosopher, a storyteller. But at his essence, and maybe most importantly, he was a friend. Throughout hundreds of episodes of Mister Rogers’ Neighborhood, Fred Rogers helped us feel good about who we are. We hope you walk away from today’s Doodle knowing how special you can be just by being yourself.